What to wear and what to pack for winter fun in Fairbanks? Those questions answered here! Winter temperatures in the region might occasionally seem daunting but because it is a still, dry cold the weather is quite manageable. 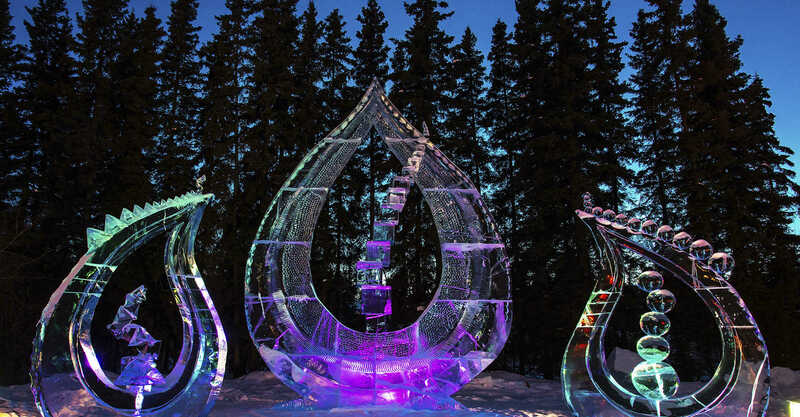 Dressing properly allows visitors to engage in fantastic activities like chasing the captivating light of the aurora borealis, viewing larger-than-life outdoor ice sculptures or experiencing the exhilarating sport of dog mushing. Additionally, sports like skiing, snowshoeing and ice skating are all within reach even if the temperature is below zero. Winter’s white mantle is beautiful and guaranteed in Fairbanks. The snow-covered landscape, the frost heavy trees and trails, the alpine glow that adorns the nearby hills and mountains all beckon locals and visitors alike to venture outside and embrace nature. The new upbeat video illustrates how to dress for winter and celebrate time spent outdoors. Stay warm.